Emma A. (Grillo) Smith, 100, of Glen Rock, NJ passed away on Thursday, August 30, 2018 at home surrounded by her loving family. Born and raised in New York City, she resided in Glen Rock for 51 years. A graduate of Hunter College in New York City with a Bachelor’s Degree in Chemistry, she earned a Master’s Degree in education from William Paterson University in Wayne. She was a parishioner of St. Catharine R.C. Church in Glen Rock. 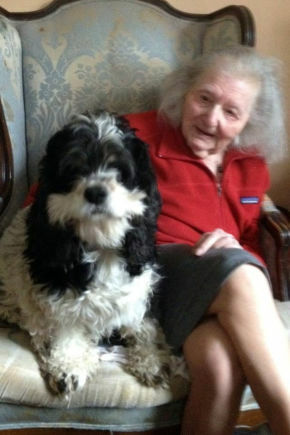 Emma enjoyed crossword puzzles and spending time with her granddaughters and dog, Bailey. Prior to retiring in 1983, she was a middle school teacher with the City of Hackensack Board of Education for 20 years. Previously, she was a chemist with Hazel Bishop and Elizabeth Arden in New York City and Colgate in Jersey City. Beloved wife of the late Herbert George Smith. Loving and devoted mother of Janet A. Jones and Robert Smith and his wife Peggy. Cherished grandmother of Christie, Kerrie, Lauren , twins, Erin and Nicole, Samantha, Ryan and Megan. A Funeral Mass is planned for Tuesday, September 4, 2018, 10 am at St. Catharine R.C. Church, 905 South Maple Avenue, Glen Rock, NJ. Interment will follow at Christ the King Cemetery in Franklin Lakes.